BBoarding ~ All Under One Woof! 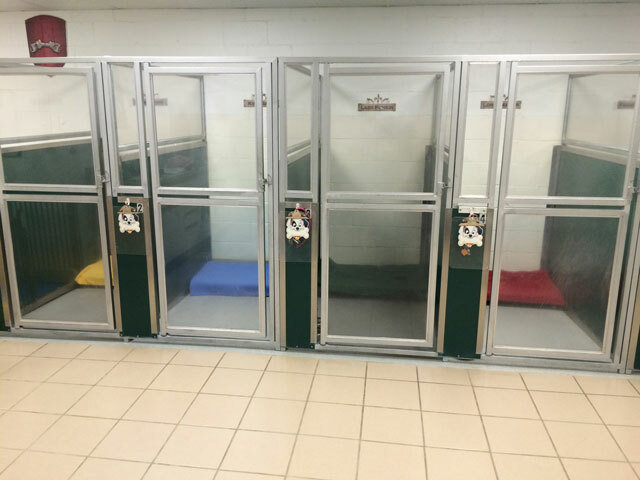 recently acquired 6 premium Boarding Suites from adjoining Goodison Veterinarian Center. 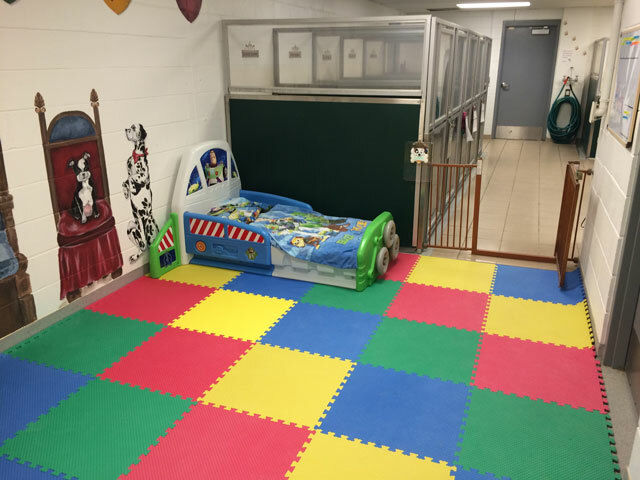 We look forward to offering these exceptional accommodations to our daycare clients! 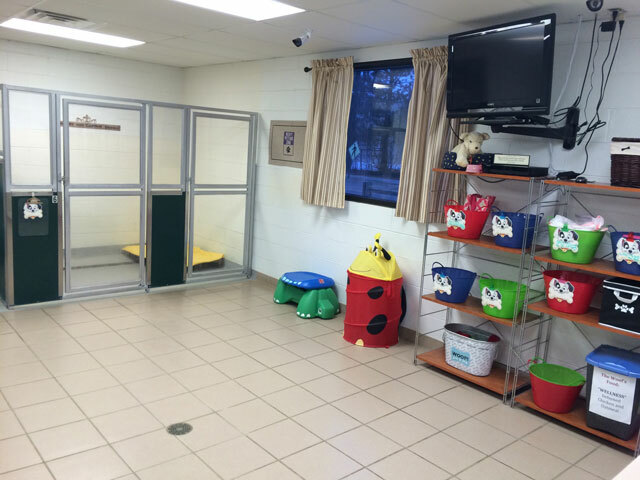 In addition to Animal Planet on the flat screen TV during the day and nature sounds soothing our guests to sleep at bedtime, we will be adding extras like 24/7 monitoring cameras and calming essential oil diffusion to further make your dog's stay more comfortable with us. 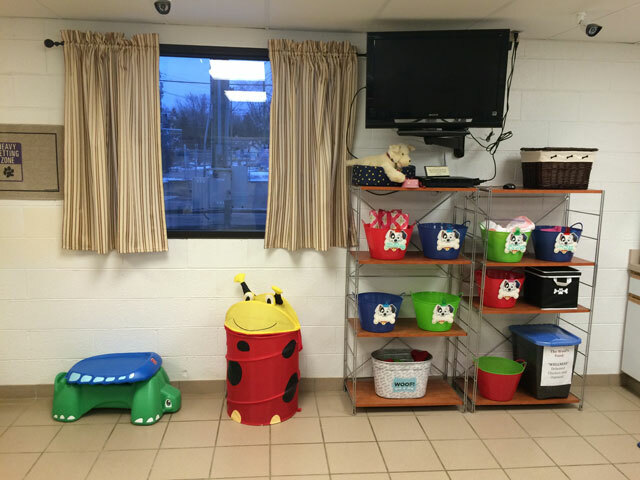 We also have raised cots with fleece blankets in each private suite. 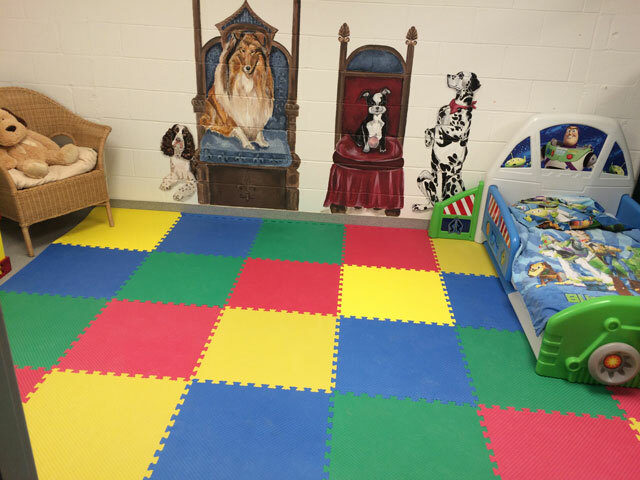 If your dog is 'friendly/non-aggressive' and you think that he/she would like playing with other dogs while boarding, your pet can enjoy 'all day play' in our daycare groups. Due to the limited number of Suites, we do require that reservations be made prior to drop-off in order to guarantee availability. 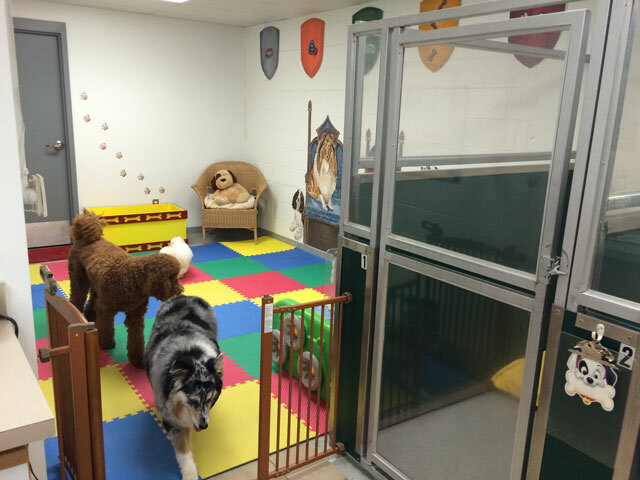 Call (248) 651-PLAY to reserve your dog's Suite! A great place to stay and play! 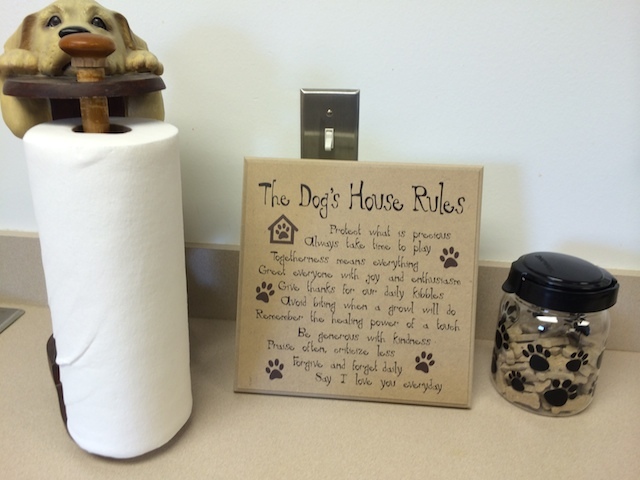 What are General Guidelines for boarding in your Suites? 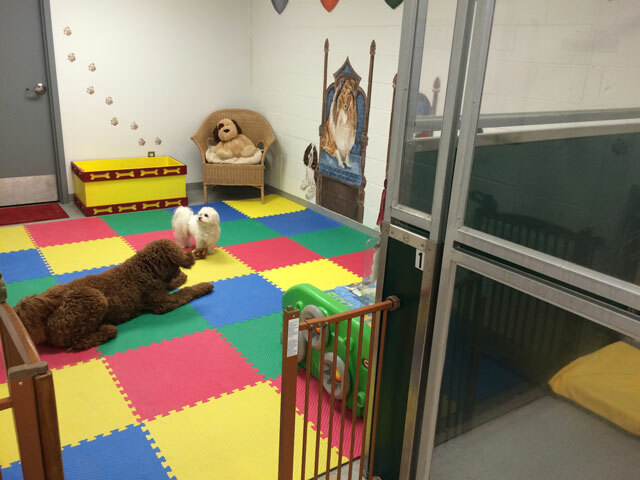 Please feel free to bring any favorite toys or blankets that you think would make your dog more comfortable during his/her stay. We request that you bring enough food (and meds if needed) for an extra day in case you are unable to pick-up when scheduled. – There is no charge for administering medication provided in pill, powder or liquid form. – For an additional $10 fee we will make an appointment with staff at GVC for any injected medications needed. – If your dog needs to have any vaccines updated upon arrival, we will be happy to make an appointment for you with the staff @ GVC for a $10 service fee. – *No additional boarding charge for the day if picked up before 10am. – We accept cash & checks. Sorry, no credit cards or debit cards accepted. – Payment is due at time of checkout. – Due to wait lists, holiday & peak vacation time reservations require pre-payment. – Pre-payment is non-refundable unless cancelled at least 30 days prior to reserved dates. For a visit of 5 or more days; your dog will receive a complimentary spa bath prior to going home, or 1/2 off the cost of a full groom. How do I reserve a Suite for my dog? 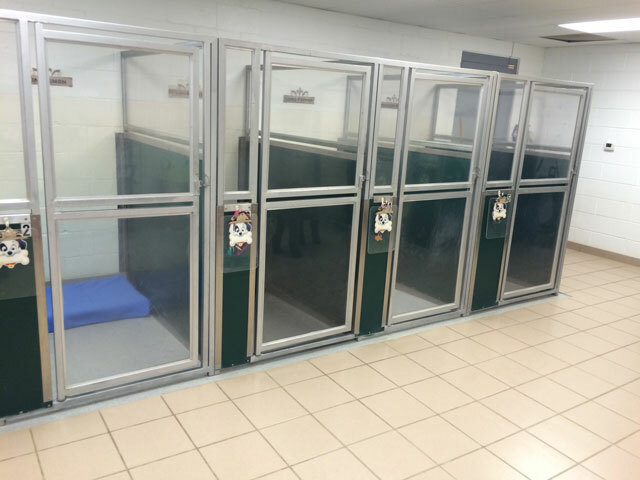 Our boarding Suites are available to our doggy daycare clients on a first come, first served basis. 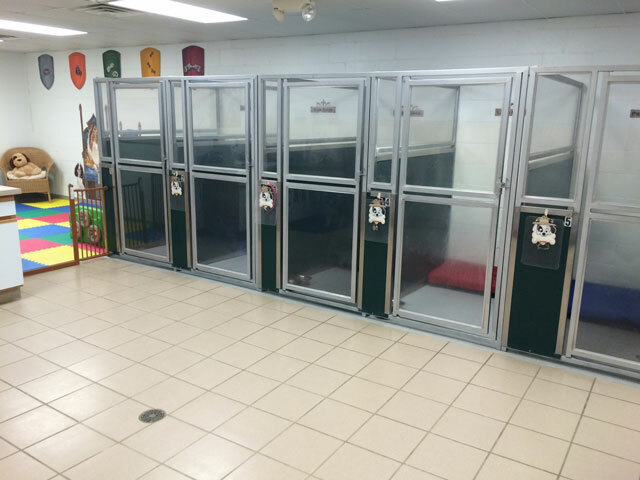 Please call us at (248) 651-7529 to check availability and to reserve a suite for your dog. © 2015 All Under One Woof! All Rights Reserved.